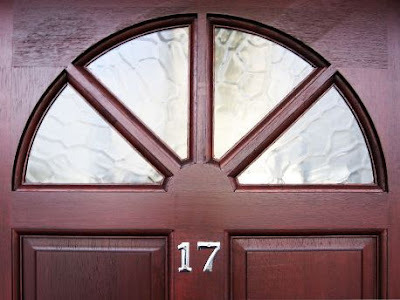 Numerology helps us that through the numbers we get to the deeper truths that are hidden in house numbers. Today we talk about the secrets hidden in numbers of houses and apartments. All you need to do is add up the numbers of your home to get final one-digit number. Example: If the number of your home is 56, fellows all individual figures 5 + 6 = 11 and 1 + 1 = 2. This means that you have house number - 2. 1. This home shines in its orderliness, harmony and balance. This house is all clean and tidy. Persons who obtain the number 1 are real people; tactic and nothing leave to case. For them, the month of November is ideal month for general cleaning of the house and its purification. The color of this house should be purple because it rays and enhances human energy, and also influence on the psyche in the sense that amplifies the will, creativity and power. 2. Persons who get number 2 mostly live in a somewhat chaotic and disorderly home. These people are sociable, somewhat forgetful and totally relaxed in terms of adjustments to the house. 3. House with number 3 matches all characters; though secret she carries is the existence of a lower dose of negative energy. Mainly related to the material side, because it often affects the less the existence of lower revenues in the home. 4. This home is a home that is stable and filled with protection energy. This home awards her household - every effort will be rewarded. It is particularly attached for those who prefer to practice and have some of exercise equipment in house. 5. Number 5 is the number of dynamics, speed and a lot of positive energy mix. This home is filled with laughter, friendships and action. 6. In a home with the number 6 everything is in the harmony and peace. A balanced energy conquers in this house, and generally this is the home of artists and creative people. 7. The number 7 is the number of mergers physical and mental, particularly binds to people who like to meditate, deal with yoga or esotery. In this house are reaching more spheres and spiritualization. This home with the number 7 can bring and tribulations, and a counter. 8. Number eight is the number of good material status and stability. In this house, there is no shortage of financial crashes. These people are generally valuable but also they are selfish. 9. At this address you can find a lot of love, understanding and wisdom. This number corresponds perfectly to old people. Home filled with peace, the smell and the place where you can really enjoy.